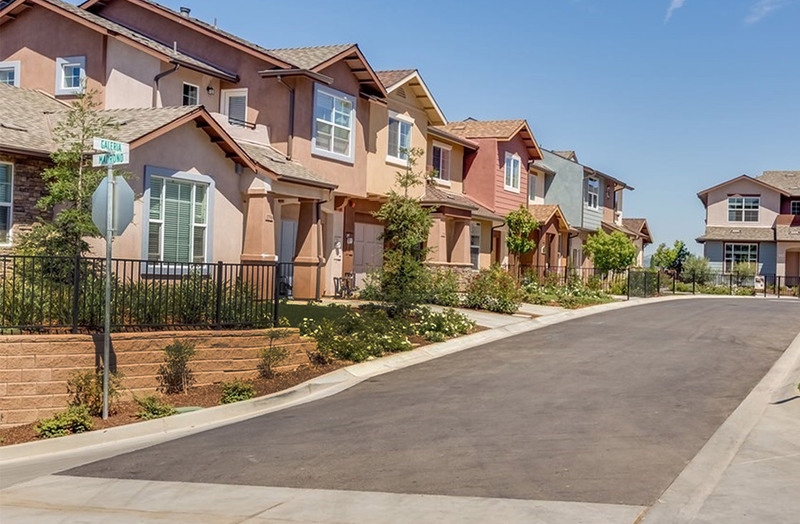 62 luxury townhomes nestled in the community of Atascadero in San Luis Obispo county, CA known for its mild climate and beautiful oak-studded rolling hills. Three floor plans range from 1,388 to 1,816 sq. ft. with 3 bedrooms and 2.5 baths in each home. Silcon has successfully operated throughout California for the past six years specializing in affordable and market rate multi family housing, single family luxury home building, commercial tenant improvements and residential rehabilitation projects.